Lovebird must be wondering what are romantic things to do in Seminyak? Seminyak has so many places to go for the holiday vacation. You must be dreaming to have a wonderful holiday together with your soul mate, isn’t it? It can be just a normal holiday vacation, or it can be more special such as honeymoon! 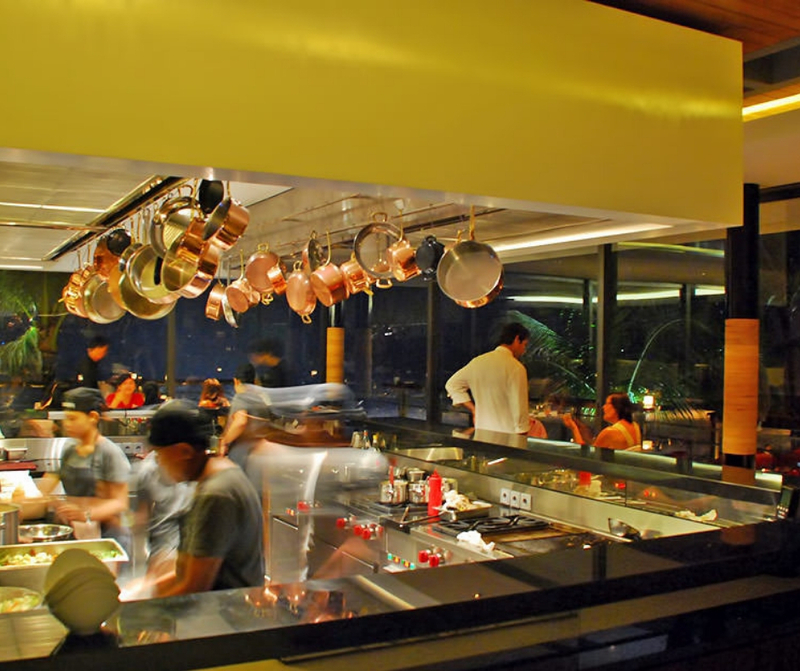 Seminyak is such a good choice for you to make your love falls even more for you. 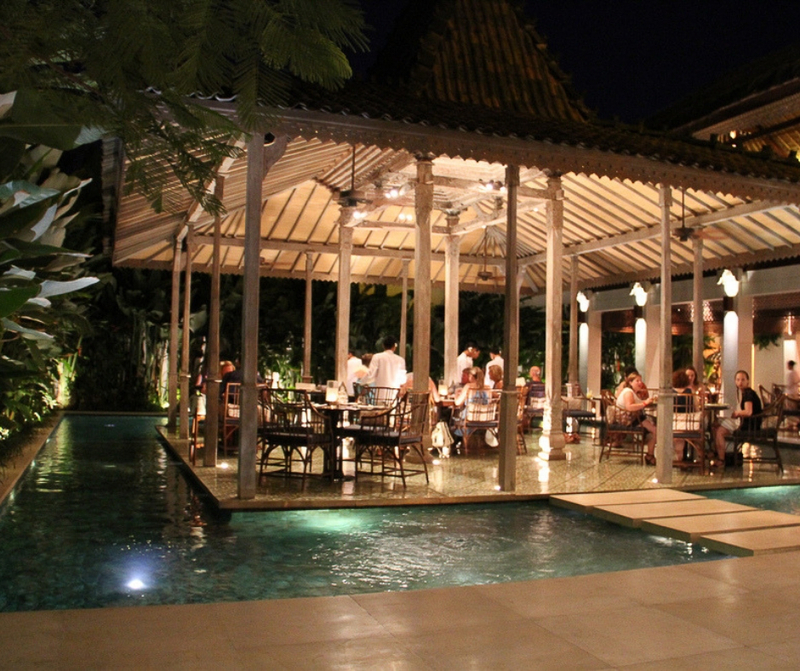 There are so many places which serve you with romantic dinner in Bali that will never forget for the rest of your life. You will get the best meal in a wonderful place with romantic nuance. 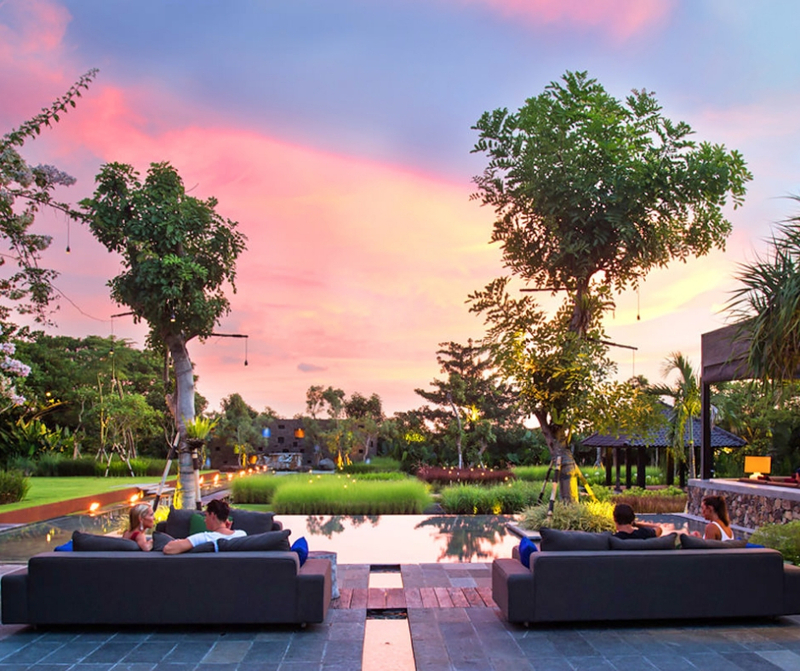 Seminyak might be your consideration for places to visit in Bali for honeymoon. Have you ever had a romantic dinner in a floating place? If you haven’t, then you and your soul mate definitely have to try this romantic dinner. Dine as you float in blue crystal clear water in Bambu Restaurant! This restaurant is located in Jl. Petitenget No.198, Seminyak- Bali 80361. The operation hour of this restaurant is from 6.30pm until 10.30pm, the perfect hour to have a perfect dinner with the person you love. In this restaurant, you can have to taste the authentic taste of Indonesian foods. Enjoy your tasteful food with the beautiful light that illuminating the whole place, which makes your dinner even more romantic. The menus that you should try are chicken and prawn skewers (satay) which is accompanied with special spicy Indonesian sambal. The ribs menu is the most favorite among others. Don’t forget to try Indonesian dessert dadar gulung or apem. You will get to feel how authentic the food is. 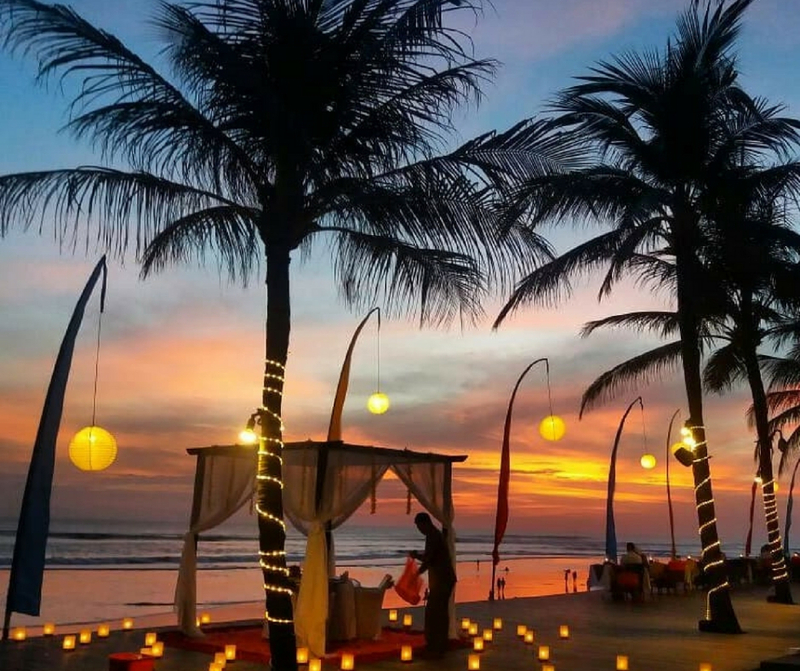 Breeze at Samaya is a part of 5-star Samaya Beach Resort in Seminyak which already know as the place for many romantic wedding, engagement, proposal, and any other romantic occasion. This place is located in The Samaya, Jl. Laksmana, Seminyak Beach, Kuta, Badung, Bali 80361. Enjoy your food with the amazing beachfront background. Just come when the day turns to dusk to get the view of one of amazing golden sunset in Bali Island, which clearly added the point on the romanticness. You will be served with land and seafood based on the western style of cooking. Savoring your tasteful dinner while watching the sun is setting is a perfect combination for dinner with your beloved one. After finishing your dinner, take your lover to take a walk along the shoreline under the beaming moonlight to add the romantic aspect of your night. Isn’t it fun things for couple does in Bali? This amazing place is kind of convert behind the humble wooden signboard at the front door. But as soon as you enter this place, you will be absolutely gawking and left your mouth hanging with the beauty of this place! The Brisot is a restaurant and bar with industrial style. The New York bar-style will welcome you as well in here, through its artistic decorations. The raw brick wall and basalt stone floor, combined with the vintage decorations and furniture, make this restaurant has a really cozy atmosphere. 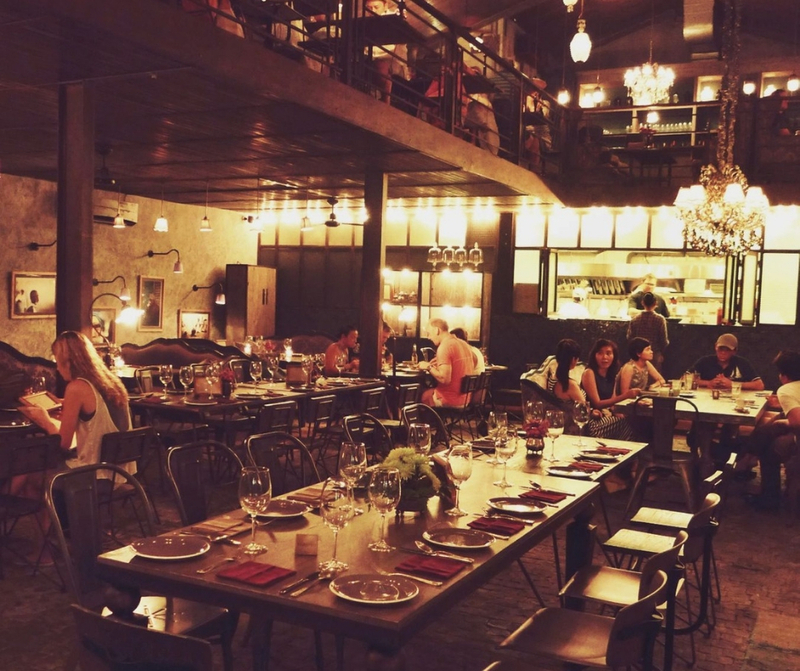 The antique hanging lamps do help to add the vintage, yet the industrial style of this restaurant. It would be a great dining experience if you take your lover here. The foods of this restaurant are not any less great than the restaurant itself. This restaurant serves you the western style foods and drinks. In addition, the plating of the food is even as great as the decoration of this restaurant, could you believe it? Get your best meal in the best place with your beloved one. If you want some fine French dinner with your lover, Metis is the right choice for you. Metis is located in Jl. Petitenget No 6, Kerobokan with the dinner sitting start around 6.00pm till 11.30pm in the morning. You can have a very fine French dinner in this elegant restaurant. Metis is the right place for foei gras fan because it serves various kinds of these menus. You can try foei gras menus such as foie gras terrine, crispy foie gras, yellowfin tuna sushi roll and pan seared foie gras. The place of your dinner is as great as your food with the view of the paddy field in the nigh and decorated with luminous light in the pathway to the hut where you will eat your dinner.